The video for this story about Gareth Farr’s cello concerto screened on Newshub on 21 April 2018. Composer Gareth Farr grew up with the photos of three young men in army uniform on the wall in his parents’ home. He didn’t know much about them until his mother recounted their history. 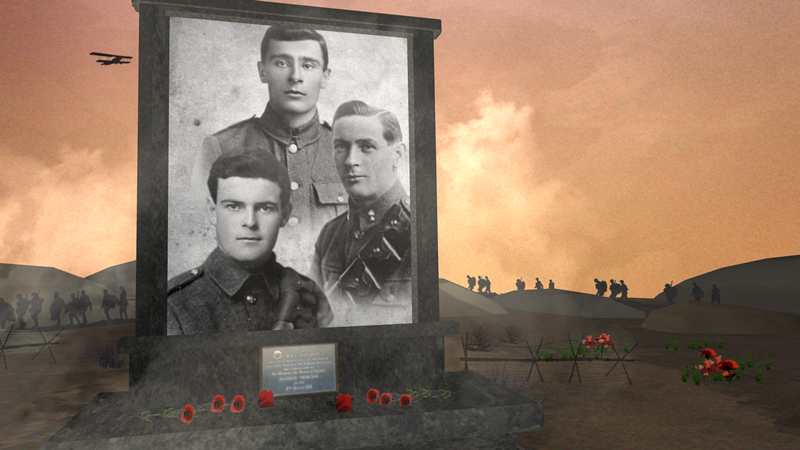 The Byrne brothers, Frank, Vince and Charlie, all volunteered for the First World War. All three died in the last 18 months of the war, leaving their New Zealand family devastated. Gareth was so moved that he wrote a cello concerto in their memory. AC Productions went to France and filmed Sebastien Hurtaud performing the concerto in Laon Cathedral. Picardy, a region where thousands of French and Germans died during the First World War.